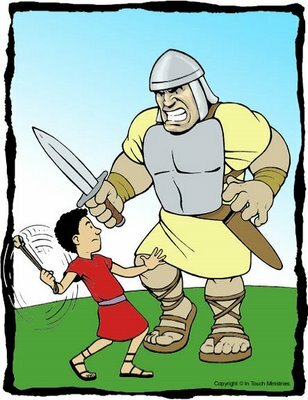 (The following is the first in a two-part blog-exchange I’m doing with Stephen Denny, author of Killing Giants: 10 Strategies to Topple the Goliath in Your Industry. Because Steve and I are among those teaching the upcoming Marketing Profs University course, Marketing Your Small Business, we decided to address retailers’ issues and opportunities in these posts and focus specifically on small businesses. Denise: How are small businesses uniquely suited to win “in the last three feet” of retail? Steve: Small businesses win in the last three feet by understanding that there’s always time left on the clock. By not going away, in other words. Giants, by their very nature – from their rewards systems to their staffing plans – are built for the “start” and rarely for the “finish.” They’re great at throwing agencies and dollars and fluff into the air, but they’re also on the hook for the rest of their quarterly objectives. Executives in giant companies don’t stay to the end. Executives – and founders – of Giant Killers do, because it’s their life’s work. How do small businesses win in the last three feet? They spend other people’s money. They take the foot traffic or the eyeballs that were purchased at great cost and recognize them for what they are: qualified prospects, courtesy of someone else’s marketing budget. They don’t make the false assumption that they’re brand converts unwilling to hear about another solution. Does it always work? Who knows. But if you can turn what was once a slam dunk and turn it into a jump ball, the possibilities for growth are endless. Denise: How are mobile and other retail trends making winning in the last three feet more challenging? Steve: Augmented reality, the quick merging of online and offline and the built-in disadvantage of having to pay for a brick and mortar presence all loom pretty large over this conversation, don’t they? And Amazon’s price checker app certainly hits this nail on the head pretty hard. If I had to pick the one most significant structural shift I’ve seen in the “Winning in the Last Three Feet” world, I’d pick the technological one – specifically, the smartphone in your pocket. The rise of the ubiquity of the mobile internet and location based services have created a self-service culture very comfortable with on-the-fly purchase decisions, often – as in the case of the Amazon app – while the customer is face to face with the physical product in someone else’s storefront. Is this “against the rules”? Yes! Dirty as hell. And Amazon can do it, so it will. Last I heard, Amazon wasn’t in the business of installing that 72” flatscreen – but I do hear rumblings that they might be looking at opening retail stores of their own. Denise: QR Codes — Is there something here? What are we to do with this opportunity disguised as utter confusion? Steve: QR codes are the modern day El Dorado, unfortunately, as most marketers don’t know quite what to do with them and virtually all consumers ignore them, so the evidence today suggests. Many marketers much more knowledgeable that I am on this subject declare the jury to be out, which really is too bad – I want this to work because it seems to be such a wonderful opportunity for people to stop what they’re doing and watch the video I want them to watch. With regret, “compliance” isn’t always a first reward of marketing anymore, is it? This may be the reason QR codes are still in the dark, frankly. But I’m not giving up hope. The one project I’m working on today puts QR codes and mobile-friendly videos they point to in the hands of in-store retail evangelists so that the newest of new schools is supported by the oldest of old school techniques: the original “social” media, meaning real live people. Using QR codes as the in-person double-click – aided, in this case – is a step that makes sense in this particular case. More on this as it develops! It’s still in its early phases. Denise: I really like your answers, Steve, and see a common theme running through them – that is, the need to think different – to zig while others zag. Whether it’s focusing on the “finish,” breaking the rules, or using technology to provide more personal service, there’s always value in doing what others don’t!